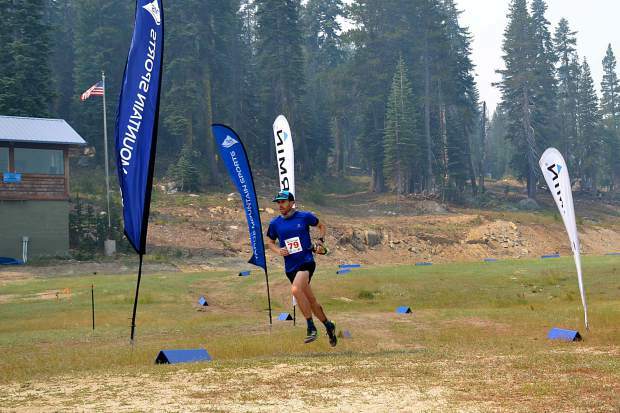 South Lake Tahoe’s Patrick Parsel races to a course record at last weekend’s Sierra Crest Ultra Run. He finished the 50-kilometer course with a time of 3:58:10. Course records were shattered at Auburn Ski Club’s fourth annual Sierra Crest 50K and 30K Ultra Run. 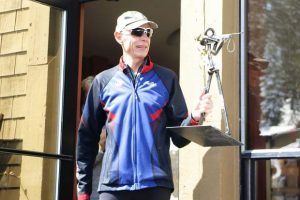 The event marked the final running event of the season for the club, with proceeds from the more than 200 competitors competing on Saturday, Aug. 4, going to fund junior cross-country ski and biathlon programs in the area. Patrick Parsel, 32, made the trip from South Lake Tahoe to set a course record by more than 12 minutes, finishing the 50-kilometer distance and its 4,660 feet of elevation gain with a time of 3 hours, 58 minutes, 10 seconds. 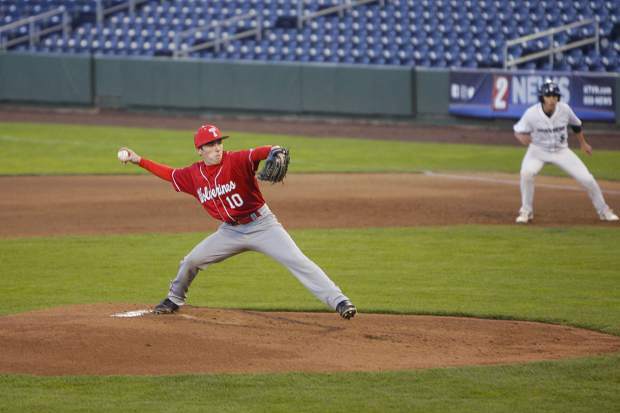 The previous record was set in 2015 by Zach Violett, of Bend, Ore., who finished with a time of 4:10:53. On the women’s side 22-year-old, Helen Mino Faukner, of Reno, broke the course record of 5:02:23 set last year Truckee’s Kati Clark, to become the first woman to finish the 50-kilomer distance under the 5-hour mark with a time of 4:54:41. Truckee runner Amanda Wiebush led local efforts on the single track dirt trails between Truckee and Donner Summit with a time of 6:52:08 for ninth place in the women’s division. Jay Wilsey was the top local on the men’s side with the Truckee resident reaching the finish line with a time of 5:08.25. In the 30-kilometer distance, Henry Weisberg, of Reno, finished with the third fastest time on the course for first place at this year’s race, crossing the finish line with a time of 2:24:13. Truckee’s Chris Cloyd was second with a time of 2:40:15, followed by local runner Morgan Goodwin in fifth place with a time of 2:48:46. 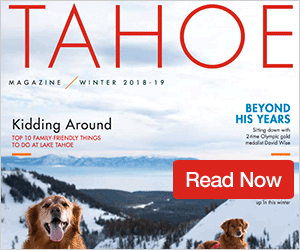 Truckee women swept the top three positions in last year’s 30-kilometer race with Leigh Moffett setting a course record with a time of 2:40:36. Moffett’s record would hold up, but Emkay Myers, of Henderson, Nev., dethroned the reigning race winner, finishing this year’s distance with a time of 2:42:08. Moffett finished in second, roughly 16 minutes later. Emily Blackmer (3:11:34 ), Laura Ehret (3:19:43), and Krista Strecker (3:29:50) finished fourth, fifth, and sixth, respectively, giving local woman four runners in the top six. For full results visit AuburnSkiClub.com.